AT&T is a nationwide company and they have some office space in Bothell and Roebbelen is a contractor that works mainly with AT&T. 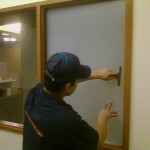 There was some conference rooms that had some window film that had to be replaced�because�of wear and tear. It was pretty cool working during the night as this was requested by AT&T. So the film; just a basic Frost from EDGE, with a 1 1/8 inch reveal on all four sides for some design and to allow some visibility. Recently we have been doing allot of�corporate�type commercial work, which is really an�interesting�side of work. 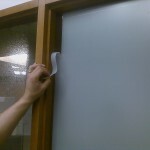 Frost film is a great way eliminate fish bowl effect or provide privacy for any office or meeting room. But it still allows light to pass through so it has a very natural feel.